Karnataka is known for its diversified destinations. It caters to the likes of all type of travelers – backpackers, solo travelers, hitchhikers, for the adventure seeking trekkers or be it those who prefer short getaways. Similarly, to those who are interested in getting to know the history of the place, in particular, I would suggest these places as a must visit. Because each of these holds a rich history within themselves and the stories that they reveal provides an enriching experience and adds beautiful memories. Read on to find out more. 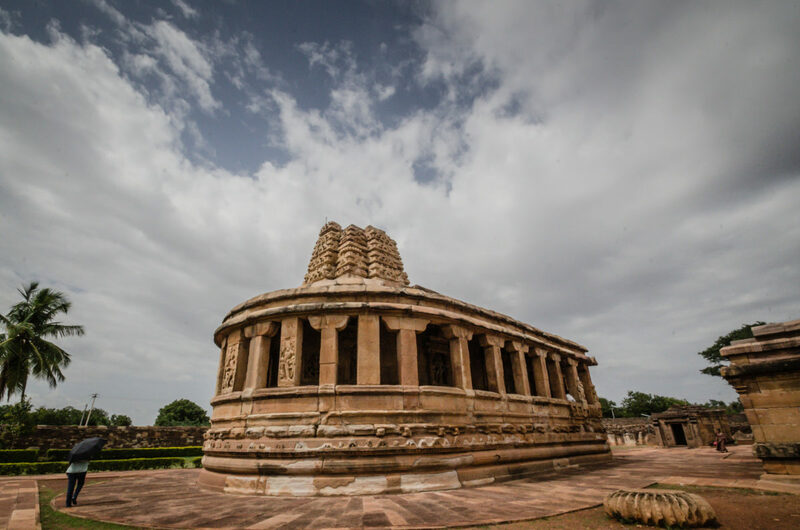 This town which was the once the most fascinating capital city of the Vijayanagar empire is a treasure which beholds rich history within itself. The ruins tell the tales of the lives of the people, the flamboyant Kings and Queens and the wealth that reverberates throughout the landscape of Hampi. Hampi is every history lover’s candy of the eye, a place to quench the thirst for knowledge, a place to find stories of the glorious past. 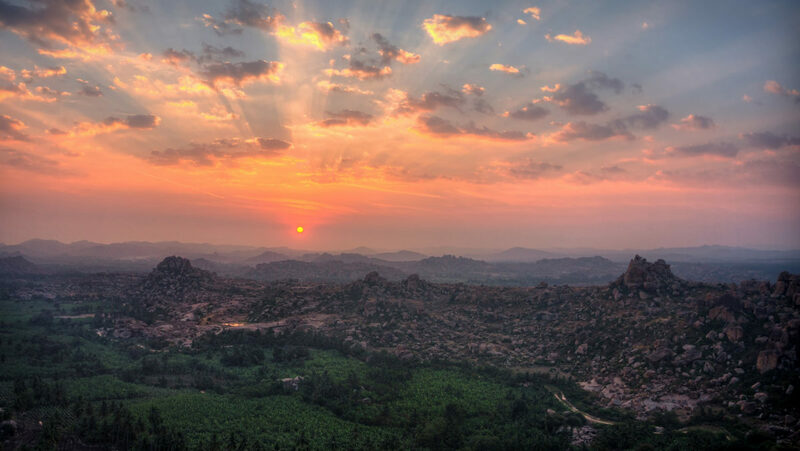 No wonder, Hampi is every traveler’s delight and tops the list of history buffs. Belur is what is Hampi in the northern Karnataka, albeit the luxury and wealth. It was the capital of the Hoysala empire which is renowned for monolithic structures. This place is known for its intricate sculpture and explicit architecture. The Chennakeshava temple is a popular tourist destination of Karnataka. The fine-tuned carvings on the stones stand as a testimony to the brilliance of the craftsmen of the past, who had the magical power to turn anything to majestic structures. 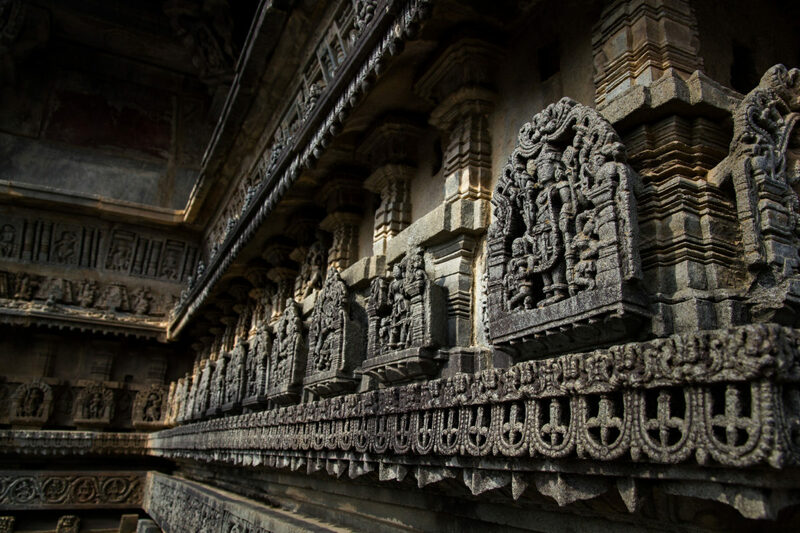 Visit Belur for some gorgeous stone carvings depicting the Indian mythological stories. Another town which is located just about 16 km from Belur. The name means ‘Old City’ in the native language. 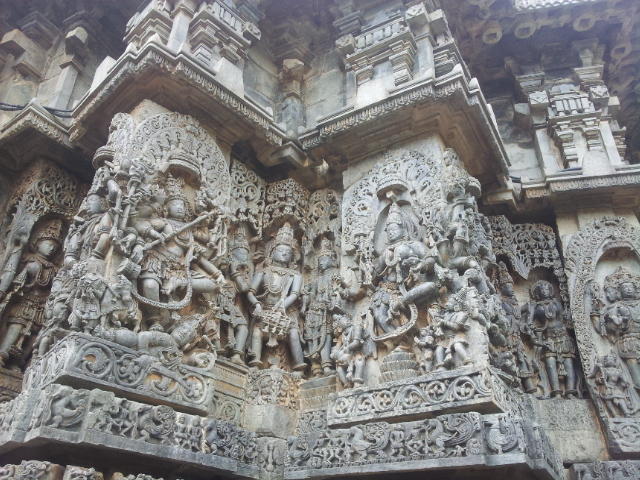 It is home to two of the incredible temples that were built during the Hoysala period. The exquisite carvings inside the roof of the temples depict the characters from the Indian epics – Mahabharata and Ramayana. The ornate pillars are a major attraction of the place. Located about 160 km from Bangalore, this place is the hub of Jainism which is said to have flourished under the kings for more than two thousand years. 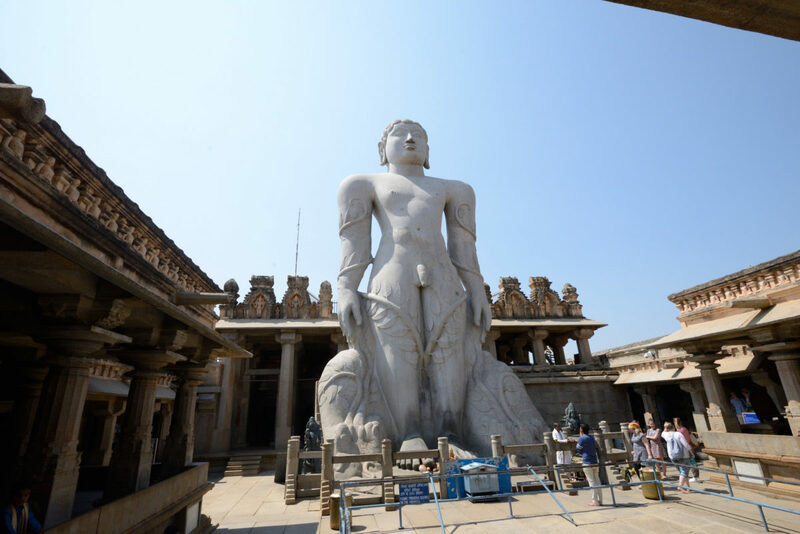 The huge monolithic statue of the ‘Bahubali’ or the ‘Gomateshwara’ is a majestic sculpture that draws immense respect and devotion. It is considered to be the world’s largest monolithic stone statue.Visit this place to learn about the Jain monks, their austere ways of life and to learn about Jainism. The place has monuments dating back to years 600 BC. 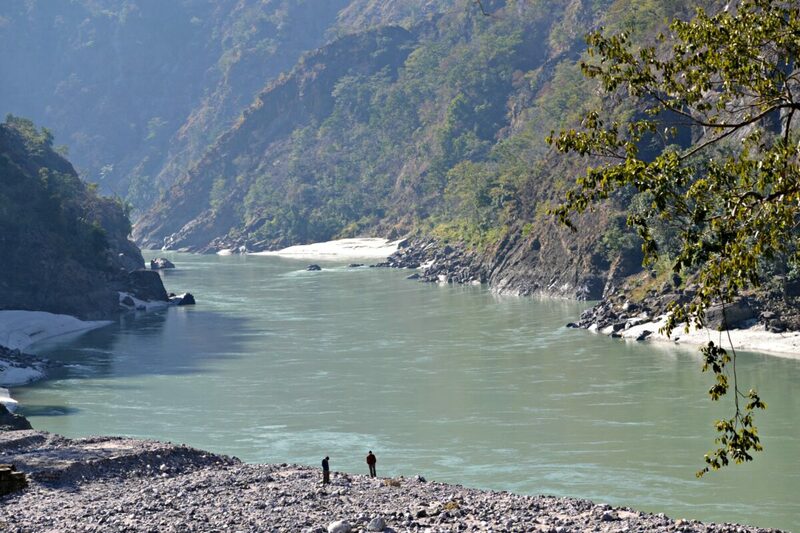 The serenity of this place casts a spell on you every time you visit this place. The imposing calmness of this place is what it makes it truly beautiful. Located in the northern part of Karnataka, Aihole is renowned for the Chalukya architecture. It was the first capital of the Chalukyas and is home to more than 125 stone temples with excellent designs and sculptures embossed on the walls. The rich history of this place makes it a must-visit for those who love History. Located about 10 km from Aihole, Pattadakal is a world heritage site.The river Mallaprabha flows on the other side of this village.It was the capital of Chalukyas during the later days. The Chalukyas were prominently known for building many temples, and the temples here are from the 7th century. 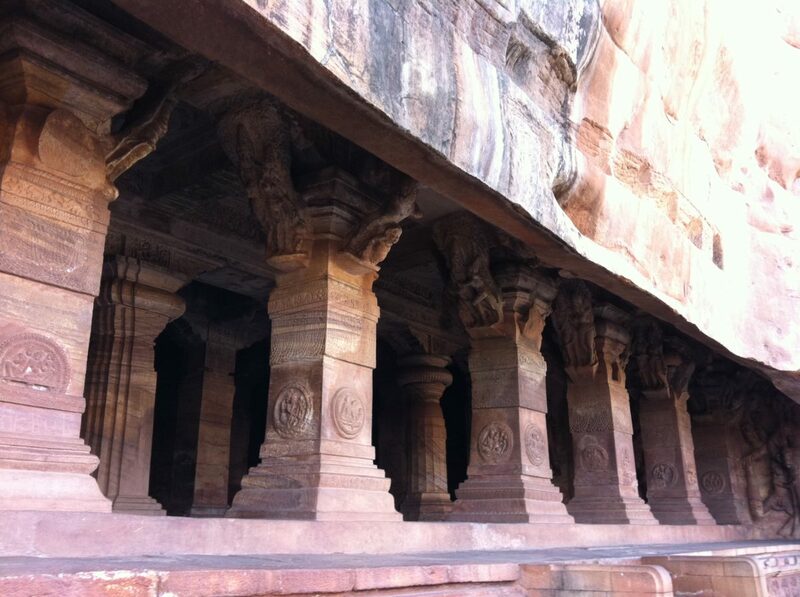 Located about 20 km from Aihole, Badami is known for its rock-cut temples and caves. The caves have some inscriptions on the walls that are from 13th century. The red sandstone beautifies the structures.It also houses a Buddhist cave which needs to be reached by crawling on knees. Visit this place to get to know the dynasties of the past and their love for the architecture. This temple town is the oldest city in Karnataka. Banavasi is gifted with nature’s abundance as it is home to many beautiful lakes. The greenery around the temple is mesmerizing and adds beauty to the temple. 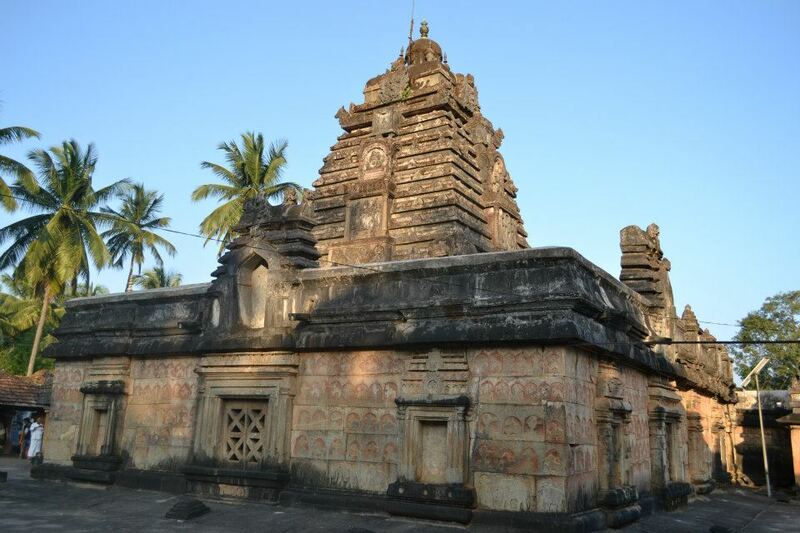 The Madhukeshwara temple was built in 9th century by the Kadamba kings, and this town was their ancient capital.Some of the coins unearthed here date back to as early as 5th century! You can easily spend a day or two in these little laid back town and savor some of the authentic local cuisines. So, to which of these have you been already?